ShopHealthy is a Bangalore based startup founded by husband and wife duo- Manoj and Divya. 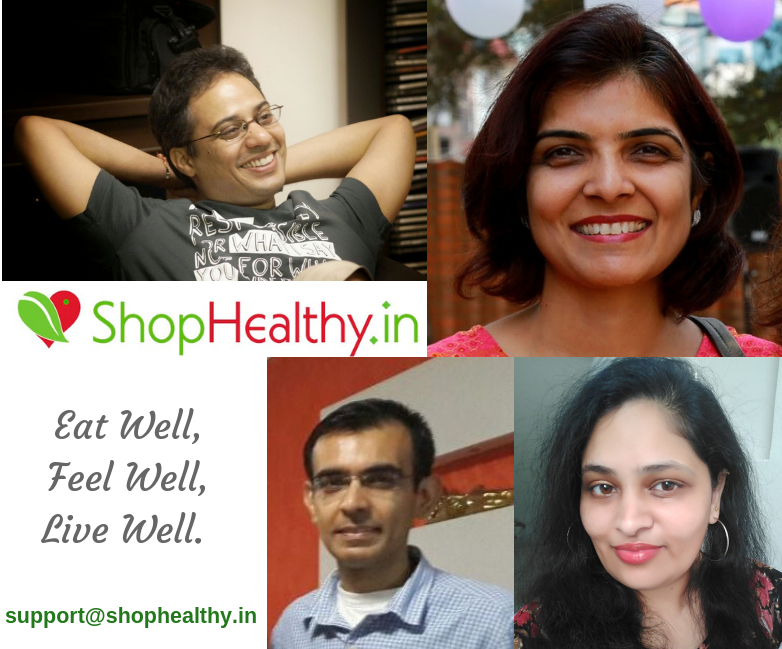 ShopHealthy is an eCommerce marketplace focused on high quality health and beauty products, says Divya. We got an opportunity to know about the startup, it is an inspiring story of the founders. Read their full story to know more about them. ShopHealthy is an eCommerce marketplace focused on high quality health and beauty products. We started with only organic products 5 years ago and gradually expanded to cover all products that promote health, wellness and beauty – organic, ayurvedic, homeopathic, natural & herbal. Today we have over 40,000 unique products and still growing thanks to support from our loyal repeat customers and some fantastic sellers. So far we have grown completely through word of mouth and have a very healthy repeat rate of customers. To be completely honest, we started because we were trying to conceive our second child and on that journey, got into natural and organic health supplements such as wheatgrass powder, DHA, protein-rich foods, etc. The problem we faced is finding all these under one roof – either offline or online. Hence we tried to solve the problem of availability by sourcing health products and making them available in one online store so that the remotest part of our country can gain access to the wonders of healing and curing all their ailments naturally. I am a Masters in Computer Science, PMP and a BE in Computer Engineering. 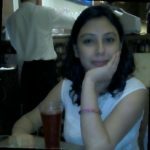 My partner, husband and co-founder of this firm, Manoj has an MBA, a Masters in Computer Science from and a BE in Computer Engineering. I have worked in various roles in the IT industry for 15 years, most part of it in the US. Manoj has spent more than 15 years working on the product development and product management side in his career in the US. We moved back to India in 2008 and continued the IT lifestyle along with a few startup ventures on the side. We call ourselves the slow and steady startup where the focus is not on valuation or rapid and sudden growth but more on better service and happy buyers and sellers. A key factor has been to keep costs low as we are bootstrapped. So we work out of our home office and the team connects via the virtual technologies available today. We have seen a very good response from our customers. Most of our growth over the years has been organic with only word of mouth. So in the initial years we were doing double duty – day jobs along with this on the side. Over time as the question of “Will this SURVIVE?” was answered we quit our jobs one by one. For the last two years both of us have been focused on ShopHealthy and have not been taking a pay cheque. Now the question has moved from “Will this SURVIVE” to “How do we THRIVE?” as the business already is profitable and makes ends meet for both of us. This question is what we constantly strive to answer as we now have a reasonable scale of both buyers and sellers. There were many companies who started in a similar space and around the same time and all but one are not in existence anymore. Our real competition is how to survive the onslaught of the large e-commerce players as they not only have brand recognition but also have the deep pockets to give incentives to both buyers and sellers. Work life balance in any startup doesn’t exist. Since it is your own baby that you are trying to nurture and grow, it is impossible to ignore it. More so if it is a husband and wife doing it together like in our case. So it does take a toll but the good part is that it inculcates even more discipline in our lives and helps us cherish our time with the family even more. We started with working 24 x 7 for the first year or so but after the initial growth, have learnt to delegate and take at least Sundays off for the family. Automation of repeatable tasks has been the key to free up valuable resources to focus on other areas of growth and also drive a work life balance. We have never looked for funding till date as the focus was on growing a sustainable business and not on valuations. Even today we are not actively soliciting for funds. We have seen some of our competitors raise funds and die when they could not raise more. We are profitable and growing and currently do not need to raise money for funding operations. We believe our existing systems, processes and technical back end can easily absorb a ten times growth immediately. Beyond that we may have to decide if we need additional funds to achieve the scale for the next stage of growth. We have observed that there is a lot of favourable press that is received when a start-up raises funds from marquee investors. The big reason for us if we were to raise funds is exactly that – the publicity and recognition that could help us attract even more buyers and sellers to our platform. There have been many small ones that we come across now and then. Some for example are when people are under the impression that we only cater to Bangalore. Whereas the reality is that we ship all over the country and in fact have recently started shipping globally as well. The other is when people think we are a pure B2C site whereas the reality is that since our USP is deep relationships with manufacturers directly, we cut out the middleman and are able to service B2B orders as well. Another one is whether all our products are 100% organic. The answer is not really. We cater to health and beauty – whether it be organic, chemical free or natural. When a particular product is organic, it is clearly called out along with their certification details. But we certainly do not want to leave out all the other wonderful brands that may not even have the funds to get some of these certifications. Also we have grown to include not just ayurvedic but also natural and homeopathic brands too. We started with mostly organic products 5 years ago but over the years, due to growing demands from our customers, we have also obtained an import / export license and as a result, have added a huge variety of imported brands to fulfill their needs as well. I consider myself has being lucky to have four children. My 11 year old daughter, my six year old dog and my two five year olds – one daughter and one ShopHealthy. I consider this company as my child and like the fact that it helps connect a lot of buyers and sellers with meaningful products and services to take care of their health and beauty needs. Thanks to this company, our motto at work and even at home with the kidshas become – Eat Well, Feel Well & Live Well. I get up and get my kids ready for school. My husband drops our kids to school while I usually go for a brisk walk or to the gym or do yoga. Once back, I get ready for work. We start our workday together at about 10am and work until the kids come home. Little one reaches home by 1pm so take a small break for lunch with her. Typical day includes a variety of aspects since in a startup you really have no defined roles – we do pretty much everything that is needed may it be as mundane as packing a box for shipment to the courier. Over the years our roles have become clearer – Manoj takes care of the technical aspects due to his experience in the eCommerce and mobile payments industry. I manage the business development and operations part of our growth journey. Our kids need our time in the evenings so we keep that available for them and get back to work once they hit the bed. When the startup is your baby and that too an eCommerce site that never sleeps, the day doesn’t really end. The trick is to work smarter though so that the system continues to work while you try to snooze and dream bigger for a great start to the next day. As mentioned earlier, we keep our costs low by hiring help on a contract basis only as needed. We do not have full time employees or a commercial office space as such.